We invite children to wade into worship! Hospitality is found in the core of the gospel. Following Jesus’ example, at St. Thomas, we welcome children of all ages as integral members of the body of Christ. We encourage children to worship with their family and provide diverse resources to help them grow as disciples. Welcoming children is the responsibility of the whole faith community!As the body of Christ, we have made baptismal promises to parents and their children: to nurture, to support, and to pray for their faith. • Learn the names of the young children who sit near you in worship and greet them. • Offer to read, do the children’s bulletin, sing, or pray with one child during worship, especially if another child in the family is upset. • Help preschoolers and elementary-aged kids to navigate the bulletin, locate hymns, and participate in worship. Children learn by doing! • Recognize that some special needs are not visible and some people (children & adults alike) may make unconventional vocalizations, noises, or engage in other behaviors that help them express themselves during the service. Help children understand that people with special needs are valuable to our worship and encourage children to ask questions about differences of all kinds. • Celebrate that God put the wiggle in children, and that children’s participation in worship is welcome. Located on the rack to the left of the doors to the sanctuary, these bags contain books, small toys, and other things to keep little hands engaged. Each bag has a unique theme. 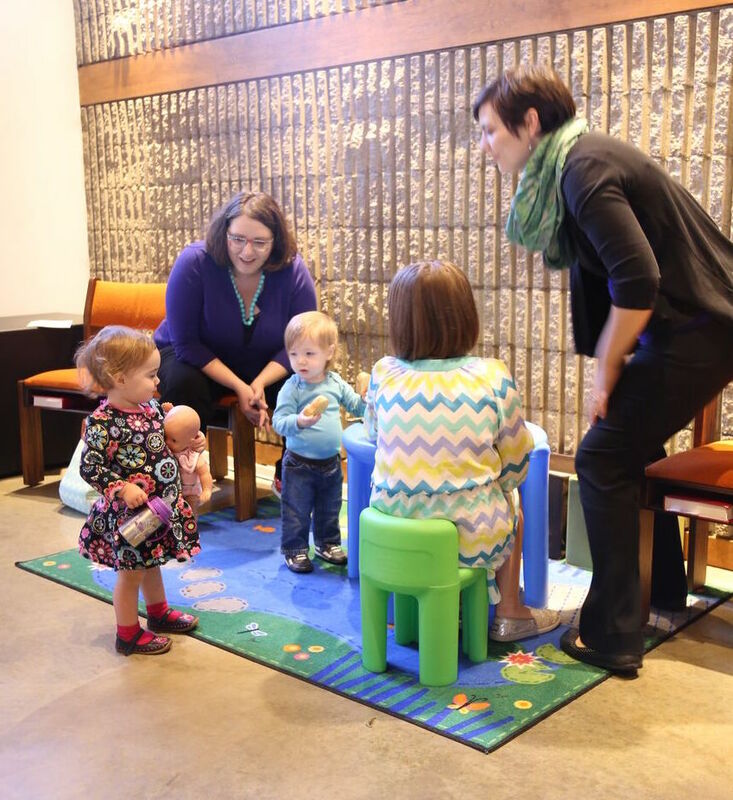 This space behind the lectern in the sanctuary is intended especially for families with infants and toddlers (0-3). 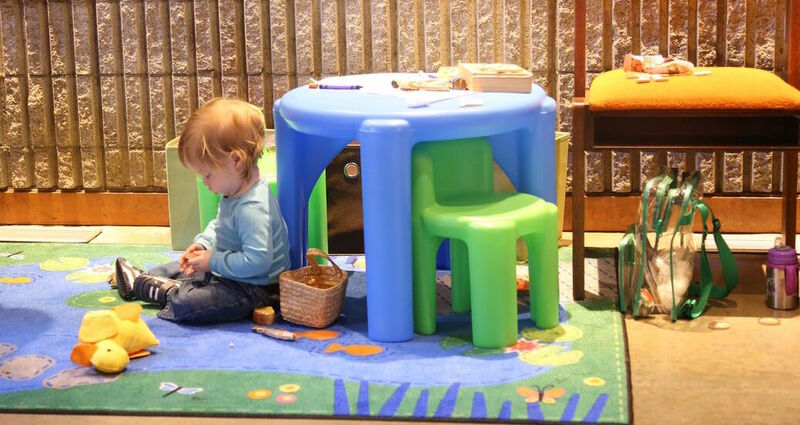 A small table and chairs, soft toys, and books are there to help keep hands busy. Parents and siblings are encouraged to sit as near as possible to the Prayer Pond. Please let the ushers know if you need help moving additional chairs. 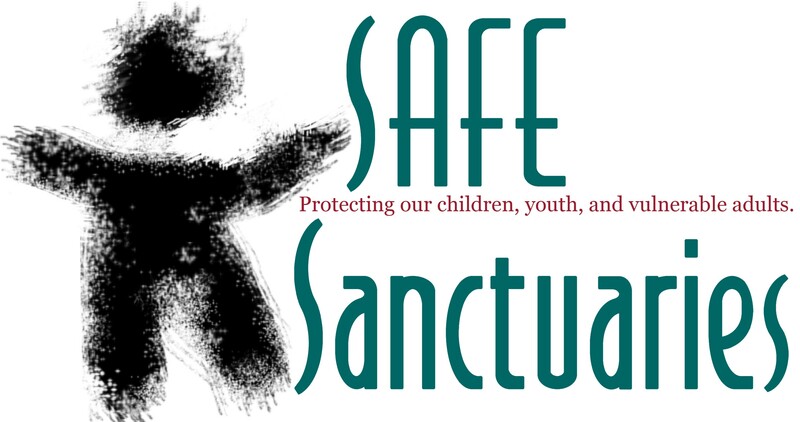 While the sounds that children make are most welcome, we recognize that concerns about disturbing others can hinder parents’ ability to focus on worship. The narthex can be used as a space to worship. There are speakers on the table near the office. If you and your little one(s) simply need a break, an unstaffed nursery is available with speakers broadcasting the service. Questions? Feel free to ask the ushers for help and they will help you find an answer.